In our promise to help you find the products that will work for you, we spent 15 grueling hours studying 20 different brands to complete our best facial cleansing brushes review. We selected the top brushes based on their ability to provide deep cleansing, their texture and materials as well as distinct features that set them apart from the rest. These brushes are beauty game changers, particularly to those with oily skin and people who frequently wear makeup. 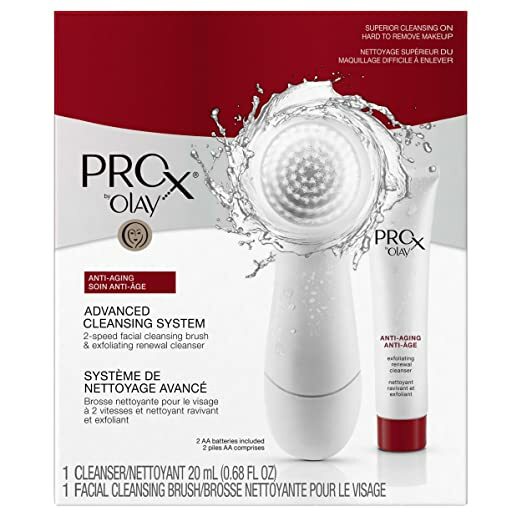 Olay ProX Advanced Cleansing System﻿﻿ with Facial Brush works well in prepping your skin for your serums and oils. It's a must-have product if you are into anti-aging treatments or if you wear makeup regularly. 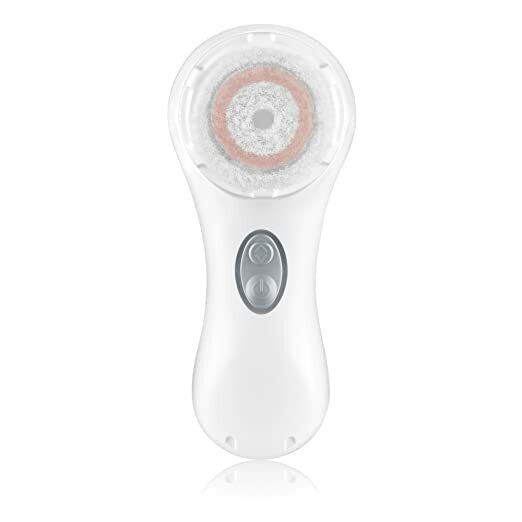 Clarisonic Mia 2 Facial Sonic Cleansing Brush, on the other hand, is a great choice if you have sensitive skin. It comes with a timer that'll guide you on how long you should be using the product on your skin. It even comes with a battery life indicator. Clinique Sonic System Purifying Cleansing Brush is a bit different from the other brushes on this list. Instead of the circular brush, you get a contoured one with this device. This feature is helpful when it comes to cleaning the contoured areas of your face, such as the area around your nose. LumaRx Facial Cleansing Brush has 3 cleansing speed settings and 3 brush heads. It's lightweight and easy to use, especially with its brush timer. Neutrogena Wave Sonic Power Cleanser doesn't have replaceable brush heads. Instead, it uses disposable cleansing pads to cleanse, exfoliate and massage your skin. Olay ProX Advanced Cleansing System with Facial Brush has two-speed settings which give you total control of the devices. It promises to enhance the way your skin absorbs your anti-aging products. As for its cleansing effects, this facial brush thoroughly cleanses and gently exfoliates the skin. As you are able to remove dirt and makeup residues effectively, your skin becomes less prone to skin breakouts and free radical damage. This Olay facial cleansing brush works on batteries and is water-resistant. These features make the cleansing brush a convenient choice. Some users experience a drastic change in the way their skin feels and looks. They claimed that the facial brush helped even out their skin tone to the point that they don’t even have to wear makeup regularly. And if you worry about the brush heads getting gunky and stained with prolonged use, they are actually replaceable and you can buy them separately. The bristles are gentle enough for everyday use. However, for some people, they didn’t like that they’re a bit on the softer side. Clarisonic Mia 2 Facial Sonic Cleansing Brush claims that it is 6 times better at removing dirt and makeup from your face than your hands. It’s gentle yet effective that you can even use it two times a day without any severe irritation. This facial cleansing brush comes in 4 different colors: white, lavender, pink and sea breeze. Aside from the colors, it also gives you the chance to select the right brush head according to your skin type. It also has a timer and automatically turns off after one minute. This is a convenient feature to ensure that you spend enough time on each part of your face. Users noticed that their skin became a lot smoother after using the brush. It helped reduced scarring and acne-related hyperpigmentation, too. Clinique Sonic System Purifying Cleansing Brush has a unique tilted head to reach every inch of your face. It relies on sonic technology to deeply cleanse your skin. Its bristles have antimicrobial technology as well. This feature helps make sure that you don’t introduce bacteria to your pores as you use the brush. The facial brush has two types of bristles- one for flat surface and the other one specifically for your T-zone. We like that it has a lightweight and compact design. Another great thing about this brush is that a single charge takes a long time. Some users claimed that they only got to charge the brush after every 3 weeks. Some of them even lasted several months without charging. That, of course, will depend on how frequent you use the product. Clinique suggests using it up to a full minute twice a day. LumaRx Facial Cleansing Brush offers 3 cleansing speed settings to give your skin a good clean. Its bristles rotate and vibrate to help get rid of the impurities clogging your pores. The brush has a timer. It pulsates every 20 seconds to let you know when you need to move to the other areas of your face. It is suitable to use in the shower but not recommended to be submerged into water. When not in use, you can simply place it in its charging and drying stand. A single charge can last you 30 uses. The nice thing about this brush is that it comes with three different brush heads- regular, sensitive and massage. 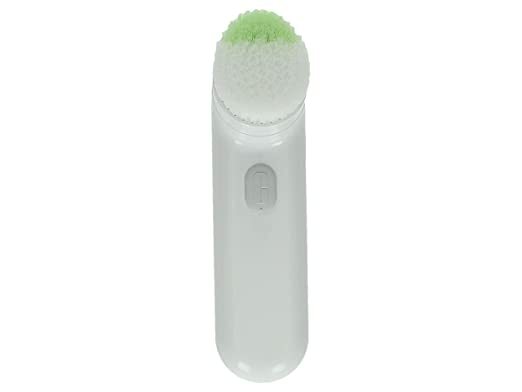 The device is lightweight and the bristles are gentle to the skin which make it a good cleansing brush for acne. However, when compared with other skin cleansing brush, this one has longer bristles which some users are not really fond of. 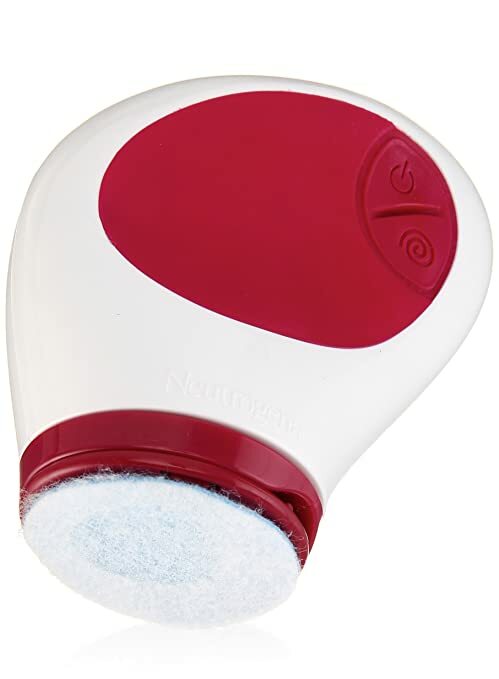 Neutrogena Wave Sonic Power Cleanser promises to leave your skin glowing. It’s dermatologist tested and claims to be 50x more effective than your regular washing technique. It comes with two speed settings- gentle and deep cleansing. To use the device, you simply attach its cleansing pad and place it under water to activate the foaming pad. Take note that you need to change your pad each time you use. Upon purchase, you get 14 pads which are good to use for two weeks. After you’ve used them, you can buy foaming pad refills separately. Considering that you have to replace the pad constantly, this isn’t a cheap facial cleansing brush. The device is battery-powered and water resistant. We like its unique design. It’s compact and fits the hand perfectly. For its effects, users like how the pads foam up as they scrub the skin. The device leaves their skin feeling soft. Why Do You Need A Skin Cleansing Brush? Facial cleansing brushes aren’t just a fad. It’s actually an essential skin care item, especially if you’re dealing with an acne prone skin. Washing your face with just your hands may not be enough to completely get rid of the dirt and makeup residues in your face. If you wash with your hands, you only get to remove the impurities on your skin’s surface. This means that your pores can still get clogged and inflamed. Aside from deep cleansing, here are more reasons why you need to add the best skin cleansing brush to your beauty arsenal. A facial cleansing brush helps exfoliate and even out your skin tone. It purges toxins out of your pores. It prepares your skin for the other treatments and products you’ll use. It helps get rid of blackheads. Using a cleansing brush helps improve the appearance of aging skin. It also stimulates better blood circulation in your face by massaging. If you are new to using a facial cleansing brush, it’s essential that you start slow. Try to use it once or twice a week and then progress as your skin gets used to it. During the first few weeks, you should expect some breakouts. This is primarily due to the dead skin cells and impurities being purged out of your pores. For prevention, you can consider using a facial cleansing product that contains salicylic acid or glycolic acid. Stick to cleansers that foam up and avoid cream cleansers and those products that have lotion-like consistency. After cleansing, make it a habit to follow up with a good moisturizer and sunblock. Facial brushes are helpful in unclogging your pores. However, without proper care, they can harbor microorganisms that can get introduced into your skin. Cleanse your brush after every use. If you see product residues, wash it with mild baby shampoo and allow to air dry. Make sure that your brush is waterproof before doing this tip. Replace the brush head or pad as necessary. Single-use pads should be discarded right away to prevent contamination. Use anti-microbial products with it. Avoid storing it in dark and moist environment, such as your bathroom, to prevent bacterial build up. Soak it in alcohol once a week to disinfect it. So, what is the best facial cleansing brush? For this list, we are picking LumaRx Facial Cleansing Brush as our best rated facial cleansing brush 2017. We like that it comes with so many options- from speed to brush type. It even comes with a timer so you’ll know when it’s time to move on to the other areas of your face. This feature helps ensure that you won’t over cleanse your skin and that you won’t miss any spot.